Professor of Sports Medicine leads the Ankle to Foot Clinic at the Spire Leeds Hospital and the Nuffield Leeds Hospital. Professor Harris has developed an international reputation in total ankle replacement surgery and arthroscopic surgery around the foot and ankle. 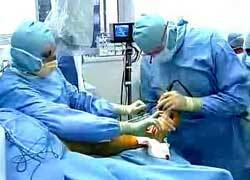 Without doubt, the advancements in total ankle replacement surgery have interested me the most. It is a rapidly changing area. Some patients get excellent results but it does not work for everyone. I am the clinical leader for the design of the Rebalance Total Ankle replacement(Biomet) which is currently being used in limited centres in 8 countries. The Rebalance Total Ankle has a different surface coating and is the first ankle replacement to use ‘e’ poly a highly crosslinked bearing which has been shown to reduce wear rates by 85% compared to other replacements. Mr Harris also undertakes large numbers of forefoot and bunion operations. 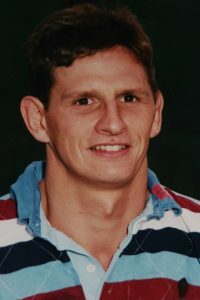 In addition to foot and ankle surgery Mr Harris undertakes general knee surgery and has spent time working with Mr Dan Du Plessis, a knee surgeon in South Africa, who looked after the Springboks Rugby Team. As a medical student I was lucky enough to get selected for the North and Midlands of Scotland to play against the touring Australian side in 1988. Nick Farr-Jones, and Michael Linagh were on the bench! I moved to Yorkshire as a Registrar and was offered a professional contract with Rotherham Titans rugby union club. I sometimes regret not taking a few years out from medicine to play rugby but didn’t think I was clever enough to combine the two. I have a large sports injuries practice and there is no greater challenge to your surgery than getting a professional athlete back playing. I don’t just look after professional athletes and find it just as rewarding getting amateur sportspeople back to their weekend sports. 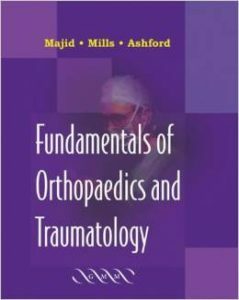 I am a co-author of a best selling book on orthopaedics. Examination Techniques in Orthopaedics comprehensively covers the basic examination skills and important special tests needed to evaluate the adult and paediatric musculoskeletal system. Fundamentals of Orthopaedics and Traumatoloy Designed to complement Fundamentals of Surgical Practice, Fundamentals of Orthopaedics and Trauma is also aimed at the basic surgical trainee, and covers all of the key areas of relevance to the junior orthopaedic surgeon and the trainee. 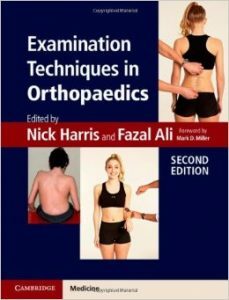 The book begins with coverage of key aspects of biomechanics, investigations and perioperative care and anaesthesia and moves on to prostheses and orthotic braces, the pathology of bone and joint disease, injury and neuromuscular disorders and finally to the individual surgical management of trauma and disease to all of the main areas of the body (including burns).